Good news is TC came to visit. Having John Biggs, TC east cost editor, in Sofia two days ago is big win for the Bulgarian startup community. Many thanks for Ivan from Netocratic for making it happen. We even ended up owning John’s 3D printed head, that’s proudly displayed in our office. Nice reminder to ping him any time something significant comes up from Imagga. 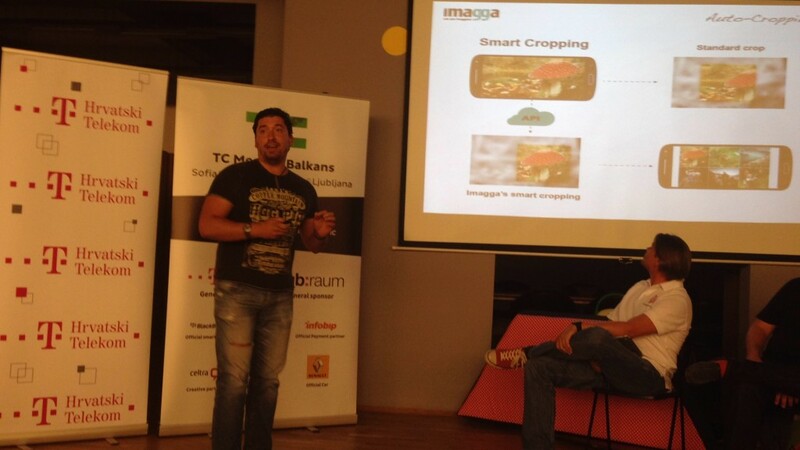 Imagga was invited to present as one of the preselected 7 Bulgarian funded teams (2 from LAUNCHub and 5 from Eleven). Georgi did great presenting Imagga. Some of the questions after presentation were about the competitive landscape and our sales efforts. It’s great Bulgaria is finally on the map of the TechCrunch and other media covering tech startups. We strongly believe the region is not covered enough and great tech potential is sparsely hidden here and there in the Balkan cities. There’s new entrepreneurship wave arising and we believe Bulgaria and particularly Sofia has the chance to stand out. There is growing startup community, co-working places fill to the brim, startup events almost every night, lots of tech savvy, ready to move out of big corporations guys, and last but not least funding opportunities in the face of LAUNCHub, Eleven and some angle investors.